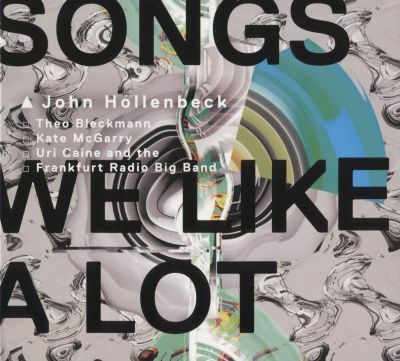 A follow up to 2013’s Grammy-nominated Songs I Like a Lot, Songs We Like a Lot finds John Hollenbeck’s creativity surging. His originals are intricate charts that are navigated with assuredness by Uri Caine and the Frankfurt Radio Big Band. In the cover songs, one sees a range of approaches from near complete deconstruction on “Get Lucky Manifesto” to intricate harmonic shifts and reshaping on “True Colors” and “Close to You.” Throughout, vocalists Theo Bleckmann and Kate McGarry respond to the challenges with their own imaginative approaches to the songs, ranging from close-part harmonies to throat singing. The frequent time signature shifts and thick chordal accompaniment on “How Can I Keep From Singing” might sum up this album best as one that celebrates song through its permutability rather than with stolid repetition of already heard arrangements. Sounds very intriguing indeed. Could not find the record on spotify, but then on iTunes. Should download it and give it a good listen, I guess. Quite welcome. Thanks for reading.